What are the 10 most common questions people ask about using a camera and photogrammetry to do 3d modeling and measuring? 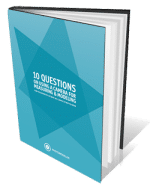 This eBook addresses these 10 common questions with answers from the photogrammetric experts at PhotoModeler Technologies. If you need to model or measure real-world objects or areas, photogrammetry has the potential to change the way you work. Yes, I'd like to occasionally receive news on photogrammetry, PhotoModeler, new articles, new releases, etc. !